Our cat is a true horticulturist. He loves plants. Whether it’s the smell or the texture, Pearly everlasting, or Anaphalis margaritacea, is completely irresistible to Sprite. He rolled in it, sniffed it, rubbed it and was blissfully happy to be part of this lovely native plant. Who knew that nature has created another catnip? I see it blooming now in the ditches on the side of the road. That’s a tough place to live so this must be a tough plant, and deer resistant too. We should bring it into our gardens. I wonder if it would take over? I’m sure Sprite would take care of that! Donna at Gardens Eye View has done a wonderful post about this plant which you can read here. 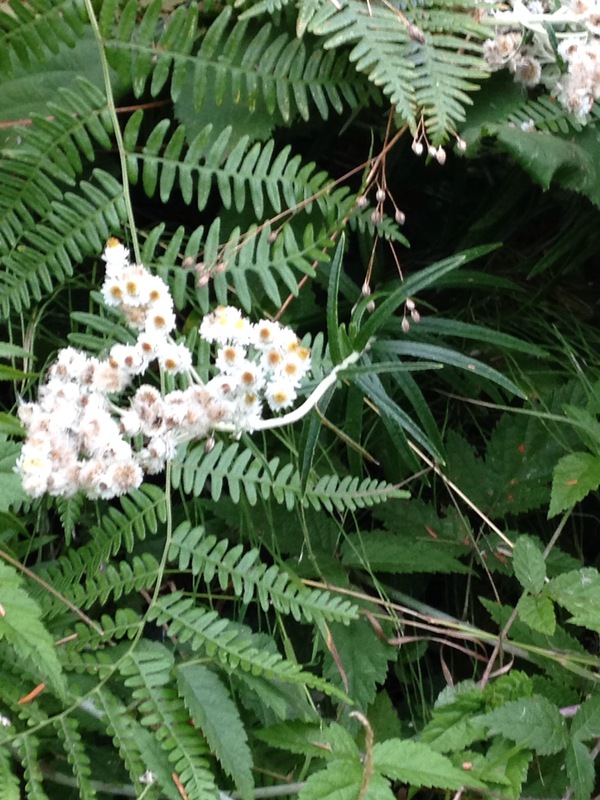 Height 1-3 ft Width 1-2 ft.
Pearly everlasting growing in a weedy ditch. A fabulous native plant that I grow in my garden. I profiled the plant in January since it is one of my favorite fall native flowers. Yes! Thanks for reminding me, I’ve added a link to your site. It’s fun that we share a native plant. Here’s the link to the profile and thanks for the link to my site…it shouldn’t take over if you add it. Mine has not and I have had it for years in part shade.